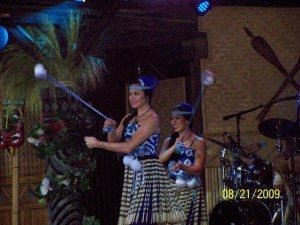 A Review of the WDW Dinner Shows! Folks who travel to Walt Disney World regularly will tell you a good portion of your trip is focused around food. Disney offers some of the finest dining around. While good food and characters coming right to your table can make your dining experience fun, why not try one of Disney’s Dinner Show’s instead. You will have a blast, and the Walt Disney World Resort in Florida currently offers three to choose from. Mickey’s Backyard BBQ located at the Campsites at Disney’s Fort Wilderness Resort is fun for all ages! At this buffet-style dinner, you will enjoy an assortment of barbeque favorites, such as hamburgers, hot dogs, barbeque ribs, smoked chicken and don’t forget the corn-on-the-cob. For dessert, you can delight in a Mickey Ice Cream bar, because as you may know, Mickey-shaped food always tastes better! You can dance to a live Country-Western band, and have the opportunity to “cut a rug” with Mickey, Minnie, Goofy, Chip and Dale! You will also be amazed with some rope tricks performed by a local cowboy! Keep in mind this is an outdoor event, so it can be quite warm in the summer months, but well worth it! My kids’ favorite, The Hoop-Dee-Doo Musical Revue, also located at the Campsites at Disney’s Fort Wilderness Resort is a 2-hour Wild West show featuring singing, dancing and comedy. You are called into Pioneer Hall by one of the guests ringing the dinner bell. It is a family-style meal, and you are literally served buckets of fried chicken, barbeque ribs, baked beans, cornbread and tossed salad. Don’t forget to save room for some strawberry shortcake! Unlimited beer, wine and sangria are included for guests ages 21 or older. The cast of the show venture out into the audience several times during the performance, and includes some audience participation, so have your cameras ready! Three seating times are offered for this fun-filled event, which are 4:00pm, 6:15pm and 8:00pm. 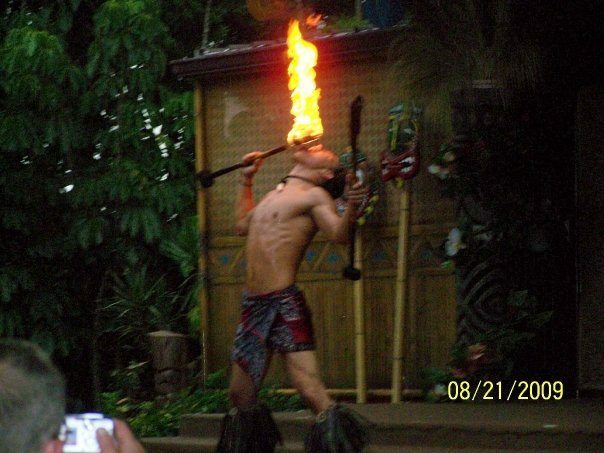 Disney’s Spirit of Aloha Dinner Show at the Polynesian Resort is my personal favorite! No one can beat Disney’s attention to detail, and being at the resort and watching this show brought me back to my trip to Hawaii several years ago! Everything is so authentic and beautiful! This is also a family-style meal with offerings such as barbeque ribs, rotisserie chicken, fried rice, sweet bread, salad with mango-poppy seed dressing, and it wouldn’t be Hawaiian without the pineapple! For the picky-eater, they offer mac-and-cheese, hot dogs or peanut butter and jelly sandwiches. Adult beverages can be purchased at an additional cost. Of course the best part of the meal is saved for last. Everyone is sure to enjoy a “volcanic” dessert, the Kilauea Chocolate Volcano! 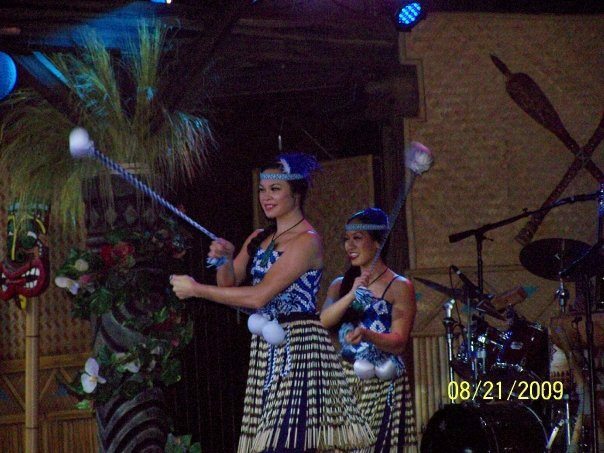 During your meal, you are treated to traditional dances from Tahiti, Samoa, Tonga, New Zealand and of course, Hawaii! The highlight of the show is a fire-twirler who is simply amazing! This show is performed in an open-air theater, meaning you are outside, but covered. It is very important to keep in mind that if it is raining during your show time, you will still be served dinner, but the show may be cancelled. It was raining the day we went, but it was a light rain, so they did perform the show. Disney makes every effort to “go on with the show”, but will always put the safety of their performers first. It is an incredible show, and well worth it, even if there is a chance of rain. All three shows require pre-payment, and early reservations are strongly recommended. As always, guests staying at a Disney resort can make their reservations 180 days in advance. Whichever show you choose, you will not be disappointed! Enjoy! Chrissy Morrison is a mother of three, Disney Vacation Club Member, Annual Passholder and self-proclaimed Disney Fanatic. She and her family visit the Walt Disney World Resort in Florida 1-2 times a year, and have cruised on the Disney Wonder. Her favorite resort is Disney’s Polynesian. The most magical part of Disney for her is watching her young daughters interact with the characters. If you have the Dining Plan Quick Service Plus Dining all three shows will be considered as 2 sit-downs rather than 1. If you are a Annual Passholder and didn’t select the dining plan on your trip for $ 100 ($125) w/o discount for the year , you can purchase “Tables in Wonderland” http://www.tablesinwonderland.com and will receive 20% discount for all sit-downs…. Making it affordable for all guests!